Car shipping to Canada isn’t a quick process but there are a few things that you can do in order to prepare your vehicle properly which will ensure that the shipping process runs as smoothly as possible. The first thing to do is to thoroughly clean your car both inside and out. The reason for this is that when your vehicle reaches Canada, customs officers will check your vehicle and they may choose to charge you for steam cleaning services if they feel that it could be carrying any agricultural diseases. Before shipping your vehicle to Canada you should remove any valuables from within the car. Anything that can’t be easily removed should be added to an itemised list which you should present to your shipping company prior to handing over the vehicle. There are several different methods available to you for shipping your car to Canada. Some shipping companies will provide you with an individual sealed container whilst others may suggest that you use one combined container for both your car and your other household possessions. If you choose to combine your car with your possessions then a purpose built frame will be supplied to ensure that your car is secure amongst your other belongings. Containers tend to come in two standard sizes: twenty or forty feet. Specialist shipping companies will also provide the option to build a customised container for your vehicle and this may be something to consider if safety is a real priority. A lower-cost method of shipping your car from the UK to Canada is to use a ‘roll on roll off’ export service. This service follows a simple procedure: vehicles are driven into the lower decks of ships and securely parked. Whilst this option is less secure it will be a cheaper solution because your vehicle doesn’t need to be lifted. Not all ports can accommodate the ‘roll on roll off’ mechanic so it is worth checking with your desired destination before you sign up to this method. Before you ship your vehicle you must check with the Canadian authorities that your car meets the required safety criteria. You may need to provide proof of ownership and a recent valuation before your vehicle can be approved. The Canadian Border Services Agency or Registrar of Imported Vehicles should be able to help you and it’s important that you spend time getting your documents in order before you start the shipping process. Any mistakes could cost you in time and money at a later stage. If you are moving to Canada to start a new job then you may have a specific date that you need your car to reach the country by. If this is the case you should consider contracting a large and reputable shipping company because these companies tend to have regular slots on transit vessels. The shipping agent will be able to provide you with a sailing date, expected arrival date and a shipment tracking number. There are many shipping companies out there and whilst most provide a fantastic service, there are a few who unfortunately let the industry down. To determine whether your shipping company is reputable, you check their reviews and recommendations. It is always worth asking friends, families and colleagues for recommendations as well. Cars are highly valuable possessions and you should check that your shipping company provides insurance against loss and damage to your vehicle whilst it is in transit. The level of insurance needed will greatly depend on the value of your car and your shipping company will ask you for a recent valuation in order to insure you competently. Your shipping company will prepare a condition report before shipping your car and you should check this carefully. If your car is a special make or edition then it might also be advisable to take out your own additional insurance. 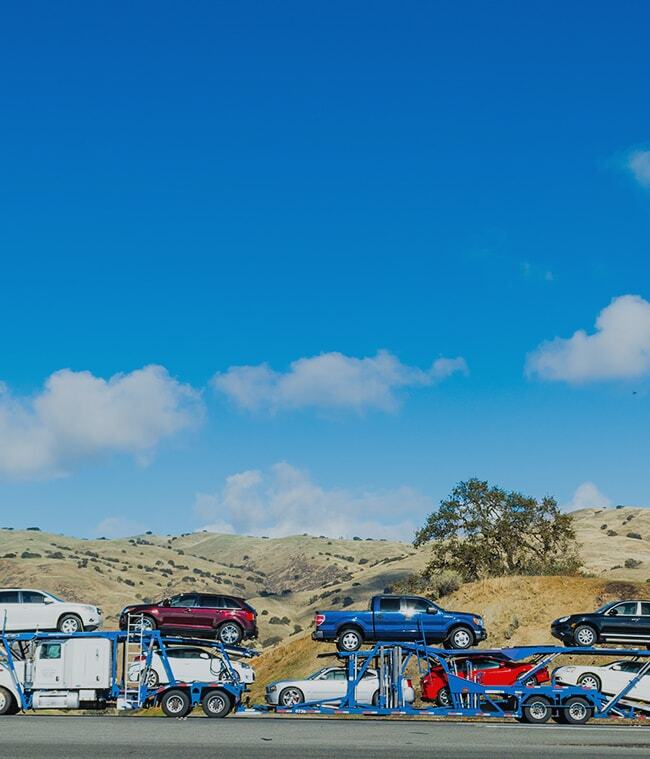 Car shipping to Canada is not always predictable; you have to consider the weather and sea conditions, as well as any border or immigration changes. Selecting a company with a wealth of experience is always a good idea because they will be able to forecast any problems before they arise. It’s also highly reassuring to have an experienced account handler at the end of the phone should you need to ask any last minute questions. All well-established shipping companies will promote their experience online and you should research a few before making your final choice. Unfortunately, car shipping to Canada is never a quick process. Shipment times vary from company to company but it is likely to take between four and twelve weeks for your car to arrive. Once the shipment carrier arrives at your chosen Canadian port there are several procedures to complete before it can be released for personal use. A customs officer will check the vehicle both inside and out. In Canada, customs officers are known as Canadian Food Inspectors and their job is to prevent the entry of diseases or pests into Canada. They will assess the condition of your vehicle and if they decide that it isn’t up to standards then your car will be sent for steam cleaning. Your shipping agent will manage this process for you and should contact you to arrange any additional fees. Following the customs process, border officials will check your vehicle against the submitted paperwork. The customs official will check that the vehicle has the required licenses, safety checks and that you have paid any relevant import duty fees. Once the official is happy that your vehicle passes their checks, it will be released. At this point the shipping company will contact you to arrange for your vehicle to be delivered. It is recommended to meet your delivery driver in person; this will mean that you can perform a thorough check of the car and report any problems immediately. In most cases you will find that your vehicle is in great condition. However, if you find any damages done to the car, make sure you take note of them immediately and ask the driver to sign an acknowledgement document. This will help if you are to file a claim with the shipping company.